Dr. Murray White was born and raised in River Heights and is an active member of the community. He is a graduate of the University of Manitoba and a well-respected dental professional. He is a past president of the Manitoba Dental Association, which is a position elected by his peers, and he is also a past instructor at the University of Manitoba. 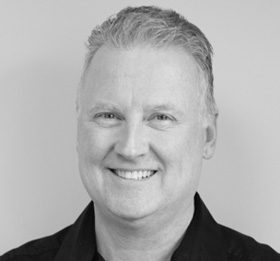 Dr. White has been in practice for over 25 years and has vast knowledge and experience in all aspects of dentistry. He completed a mini-residency in implant dentistry in 2009 and is a member of the International Congress of Oral Implantologists. He spends much of his time serving the dental community. He serves on two committees of the Canadian Dental Association, where he travels to Ottawa frequently as a member of the National Dental Examination Board. He is also a fellow of the Pierre Fauchard Academy and was elected into the international college of dentists in 2012. This is quite an honor as he was nominated by his peers for his outstanding reputation and service within the field of dentistry. He also served as chair of the economics committee for seven years, and served on a task force for the future of dentistry as well as was a past president of the Manitoba Dental Association. In his spare time, you can find Dr. White at the hockey rink, either coaching or cheering on any one of his three children. He also loves spending time at his cottage in Gimli, skiing in the winter, and camping in the summer.